Sometimes I forget we live with a hearing impaired kitty...until something occurs that reminds me of Maxwell's deafness. Like it did today. Max was hanging out at the kitchen table. Marty was vacuuming and cats were scattering - all except him! One of the reasons I tend to forget is that he's just so darn healthy (as opposed to when we first adopted him). During his first few months with us Maxwell had an ear infection that would not quit. Two actually: yeast and bacterial. Turns out that ear infections are prevalent in shelter cats. And as cats are so adept at hiding maladies, its not surprising that they make it into their new home with it undetected. Often, a pet parent will notice their new kitty batting at an ear, excessive head shaking or tilting his head to one side. Sometimes, as it was with us, the ear begins to exhibit a strong odor. A quick trip to the vet, and the diagnosis is confirmed. And now the fun begins. Most treatments for ear infection in cats involve ear drops, twice daily. The challenge is that ear infections can be very painful and make the ear very sensitive. Your kitty probably won't much like being corralled and forcibly medicated. The other bad news is that some of these infections can be persistent little buggers. 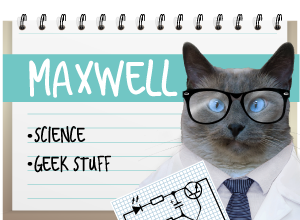 In our case, it took five months before Maxwell's ear cytology came back normal. So twice daily for five months, Mom became the Bad Guy. Not fun! Because of this, many people may opt to stop treatment. If this happens to your cat, please reconsider. 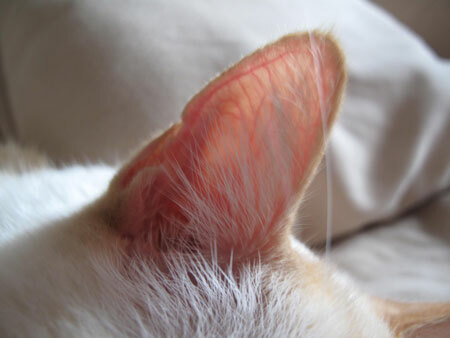 Feline ear infections can cause permanent hearing loss. If the infection goes untreated, the nerves of the inner ear could become affected, causing dizziness, loss of balance and disorientation. In rare cases, it could even result in a cat displaying unusual eye movement (called nystagmus) or even cause him to walk in circles. If you adopt a new kitty - or if you volunteer at a shelter and help place cats into forever homes - please keep in mind that ear infections can become serious matters and should never be left untreated. Maxwell... I never knew that you were deaf. You make sure your fur-siblings keep careful watch over you, okay? Please thank your mom for the info regarding ear infections. It's good stuff to know. Isn't it! Though he was completely deaf when he first came to us, after 5 months of treatments and one surgery, his hearing in one ear is partially restored. He gets along wonderfully - and obviously, we hardly notice! Malachi had a bad infection in his ear too when he first came here. But what happened was the problem was masked by the myriad of other problems he had. It wasn't until the vet staff cleaned his ears that the infection became apparent. We think that's the case in a lot of adoptions. Kitties especially seem to be able to mask symptoms - until the situation worsens, or in your case, a vet notices! We're glad Malachi had your mom to care for him! That is very informative. Thanks for sharing! One of the cats-that-came-before in my family had a change in behavior when he got real old: he was so laid-back, he didn't even run from the vacuum or when loud guests came over. We figured out he must have lost some hearing. 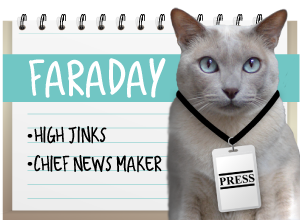 Thx yoo Maxwell, Faraday & Mom fur passing on dis valuable informashun to us all! MoM iz gonna send dis over to a fwend who juss addopted 2 kittehs frum da animal shelter. Want her to know dis stuff too! Thanks so much for the advice! 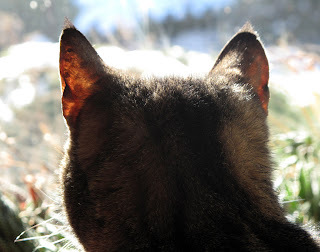 Many humans do not realize how serious ear problems can be in kitties. That's some good advice! 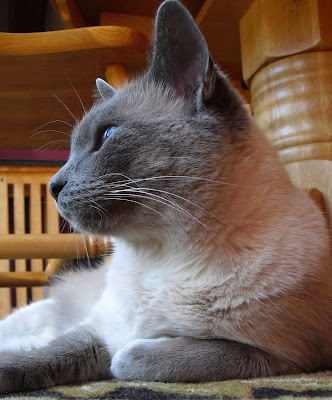 When I was adopted by my mom, I had a bad case of ear mites and I had to have drops put in my ears. I did not like that one bit!! Thank you for sharing that inportant information. M says she did not know all those things as none of her kitties had ear problems. We hope your's goes away. This is helpful and informative. Will share this on Twitter and FB!! Thank you! That for sharing that with us. We've never had to deal with any worse than ear mites, so we wouldn't have given ear infections much thought. I guess we've been lucky. We've adopted shelter cats but didn't have any trouble with them. Ear mites are pretty common too! Thanks for mentioning that - we'er glad you never had to deal with these nasty infections! Thanks for sharing! It is tough when we comes with ear infections. Me had a ear infection when me came to live with Mommy and Daddy. Me was such a horribe kitty, it was very hard to put the meducations in my ears. But Mommy persevered...and she has some nice scars too! Sad, but informative post. 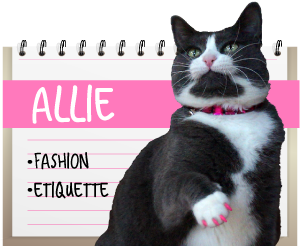 These are issues shelter cats have. Thank goodness your baby has a good home with medical care. Very good post and informative. I have always watched out for wonky ear etc on Austin! Isn't Austin wonky all the time though? We thought that was his charm! Wow, I didn't know it could be so grave. One of my dogs scratches his ear and when I do the scratching for him, he leans to my hand. I know you're talking about cats, but do those also apply with dogs? Maxwell: *blush* why thank you, Your Highness! I'm all better now, though it was tough for the first 5 months in my new home. Whew! LC, the cat-who-came-before had ear mites when she first arrived, which led to an eyes infection, which led to her eyelids being glued together by excess icky stuff whenever she slept. It was solved easily though. So glad yours was an "easy fix"! LC probably hated the meds as much as any kitty!! Hope that the earinfection will go away in NO time !